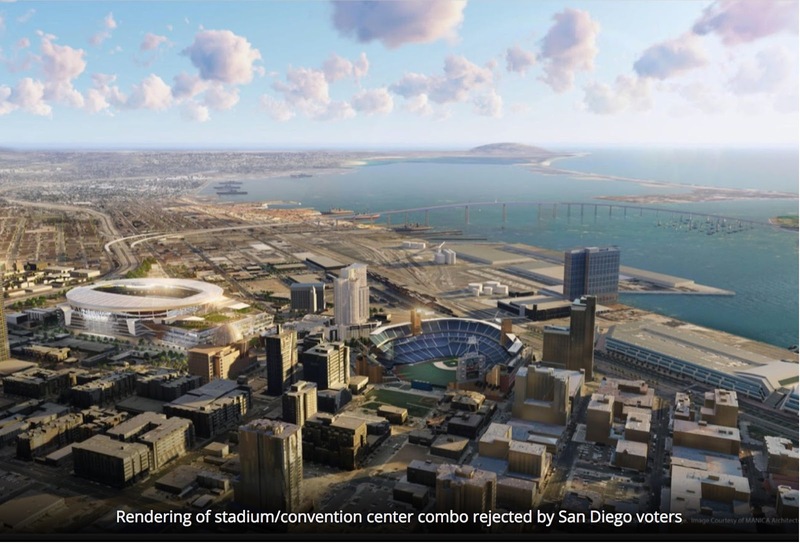 Eye On Tampa Bay: San Diego Didn’t Fall for Shady Stadium Deal; Will Tampa? 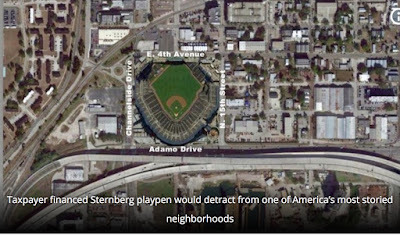 Reposted by permission of Tampa Bay Beat. Look at the above rendering. 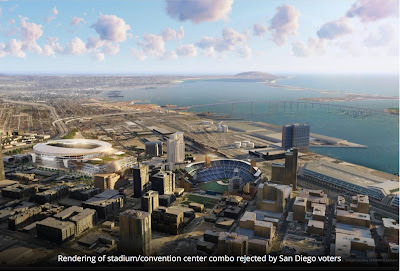 The combo stadium-convention center in San Diego blends with the neighborhood and has adequate access. 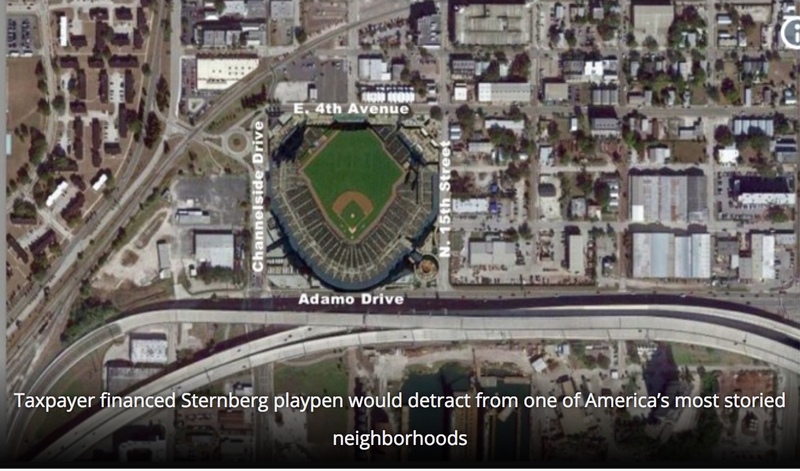 The proposed Rays stadium in Ybor City (be,ow) is shoehorned into a unique, celebrated district. Access and parking are difficult if not laughable.